I want to start off with my inspiration found online by a friend that requested these for her Baby Shower...and well I love a challenge. 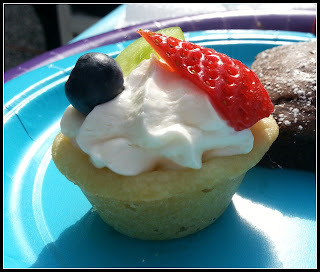 First off I used the pre-made sugar cookie dough in the tube. 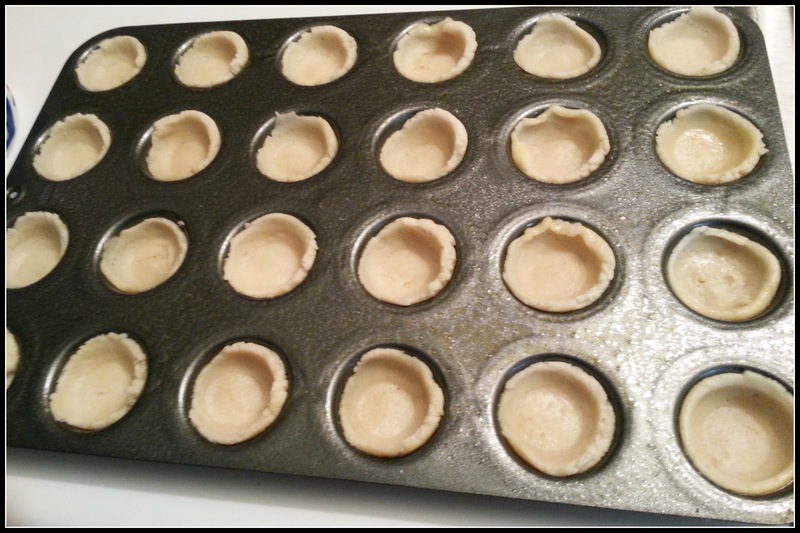 Using my Deluxe Mini-Muffin Pan coated with Non-Stick Cooking Spray, added a small amount of dough to each space and using the Mini-Tart Shaper gently made mini cups. Baked them for approx 7-8 minutes in a 350 degree oven. 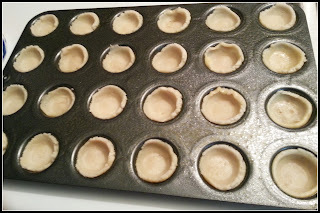 Remove the pan from the oven and let them completely cool before trying to remove them...this was the hardest part and I just used the back of a Quikut Paring Knife to loosen them from the pan. The filling was simply an 8oz package of cream cheese at room temp and a large container of Cool Whip. Whipped on high in my mixer until it was super smooth and no lumps! I had leftover filling so either save it for another dessert or just get extra sugar cookie dough and made more. To fill the cups I used my much used Easy Accent® Decorator using one of the larger opening tips, *tip* to fill the barrel I use a Small Spreader and shake the filling down into the barrel. Filled each cup with enough to come about the rim of the cups. 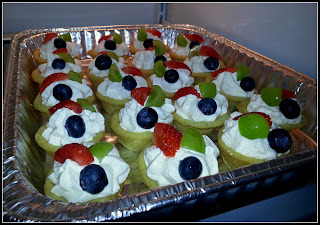 When it came to the fruit I used what was seasonal at the moment...Strawberries, Blueberries and Grapes just cut them into smaller pieces and place on top!